The following represent just a brief review of some of our projects and activities. These are in addition to our fundraising and charitable contributions. The Little Red Schoolhouse was one of the first service projects of Willoughby Rotary in the 1970s. Located just west of Rt. 91 on Euclid Avenue, the landmark was in jeopardy of being destroyed in the name of progress. Willoughby Rotary raised funds, gained the rights to the school, and eventually moved it to its current site on Shanklin near Rt. 84. The school has been a tremendously successful historical site since it first opened. People come from all over the state and surrounding area to visit a part of yesterday. 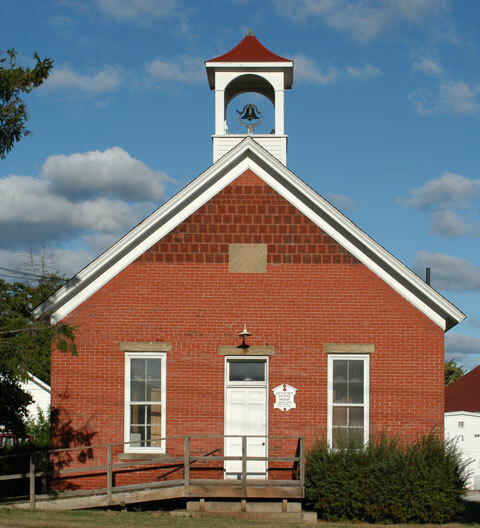 A favorite outing for school children is to pack a brown bag lunch and spend the day as a student of the past did; in a one-room schoolhouse. Ellie Rolf is director of the school and was honored with the "Salt of the Earth" award for her efforts. The Bandstand in the park, adjacent to Public Square, was a project of the 1980s. Although the idea had been proposed before, it never happened. 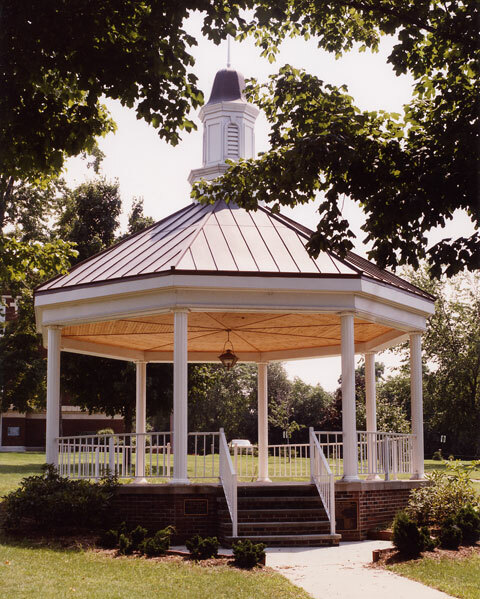 In 1981, club president Joe Tulley (also chairman of the "Heart of Willoughby" downtown revitalization program) suggested Willoughby Rotary take on the bandstand project. Charlie Hoffecker was named chairman of the project, raised the monies, materials and gathered the volunteers required to make The Bandstand a reality. When the Bandstand was completed, club member Al Kipp played a concert as a "thank you" to the community and to those who made an idea a reality. The Wick Pavilion in Daniels Park was taken on as a club project in 1994. The club contacted the city asking what we might be able to contribute to ongoing improvement planning. An older structure in Daniels Park had washed away during one of the Chagrin River's floods, and the club was asked to provide a replacement. 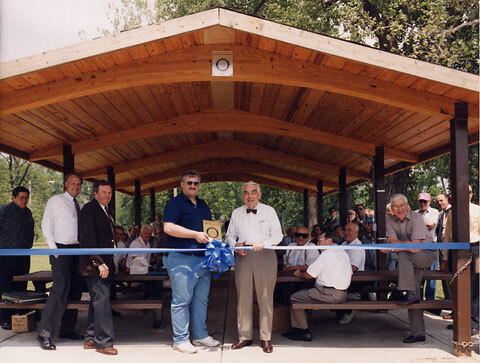 The photo shows our first picnic at the new pavilion, and the presentation of a plaque to its namesake, Doug Wick, past president and long-time, generous contributor to the club. 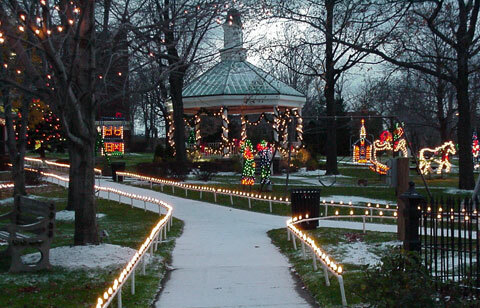 The lights are a feature of the Willoughby holiday season, attracting residents and visitors. 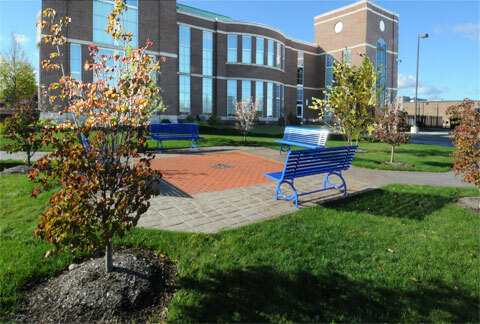 In 2005, the club decided to create the Willoughby Rotary Club Centennial Community Garden at the new City Courthouse on Erie Street. Bricks engraved with the names of members and sponsors are the heart of a beautiful garden with benches, commemorating the Rotary International Centennial. This area provides a much needed outdoor space to sit and relax as well as link the court's parking and main entry. Kilo, K-9 Drug Sniffing and Rescue Dog... Although without a K-9 patrol dog for many years, the Willoughby Police Dept. decided that it was time to revive the program. In 2001, the Willoughby Rotary Club donated the money to purchase Kilo, a Labrador Retriever. Kilo was rather special - not only was he a certified drug detection dog, but he was also certified for search and rescue. Kilo's partner was Patrolman Michael Negrea. Kilo served the force for nine years. Dictionary Project (Annual since 2003)... Each Fall, Willoughby Rotarians return to the classroom as ambassadors of the English language. Along with a brief message on the importance of their education, dictionaries are given to over 800 third grade students in the Willoughby Eastlake and Kirtland City School Districts. Schools participating in the program include approximately 40 third grade classrooms in seven W-E schools, one Kirtland public school, and four parochial elementary schools in the Willoughby Rotary Club's area. Rotarians volunteer their time to deliver the dictionaries directly to the students. John Nelson, the Willoughby Rotarian who originally suggested the dictionary program for the local Rotary District, says that even he is surprised how popular and appreciated the program has become. "The students are always thrilled to receive their own personal 'take home' copy of this exciting learning tool," Nelson says. "The classroom teachers and school administrators share this excitement for the emphasis the program gives to reading skills."